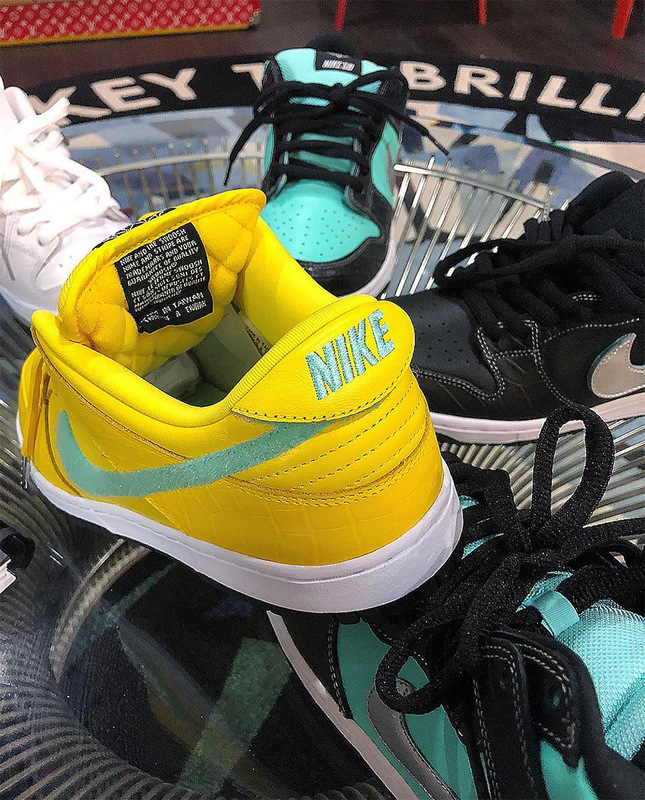 Diamond Supply Co.‘s first collaborative Nike SB Dunk from 2005 is getting a true sequel of sorts, and now it appears that there were will be not one, not two, but at least three different iterations of the 2018 version of the Diamond Dunk. 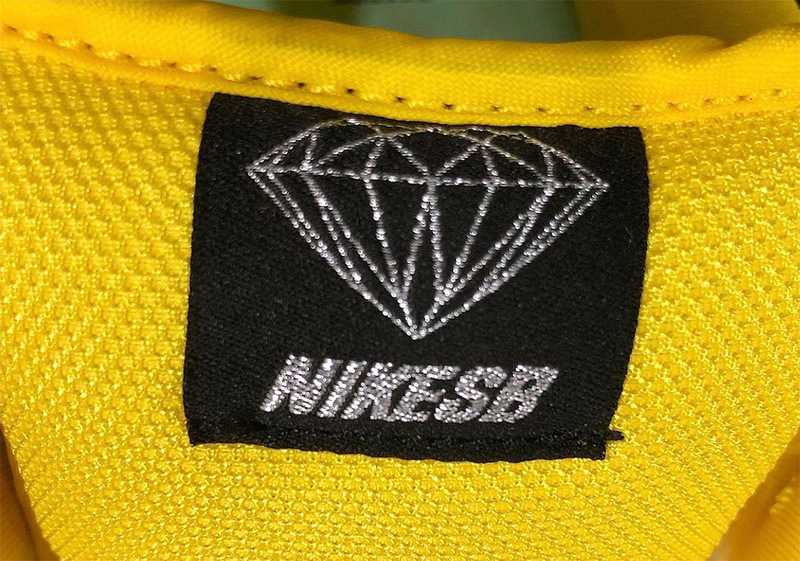 Having already shown you both a black and a white version, a third version in what may be a nod to the Canary Yellow Diamond has appeared, and like the white and black versions that have already been revealed, the same removable silver Swoosh with an aqua blue underlayer will be part of the total package. Finishing touches include reptile-textured leather around its toebox and heel counter as well as metal aglets on the tip of its laces, providing an unapologetically luxe aesthetic. 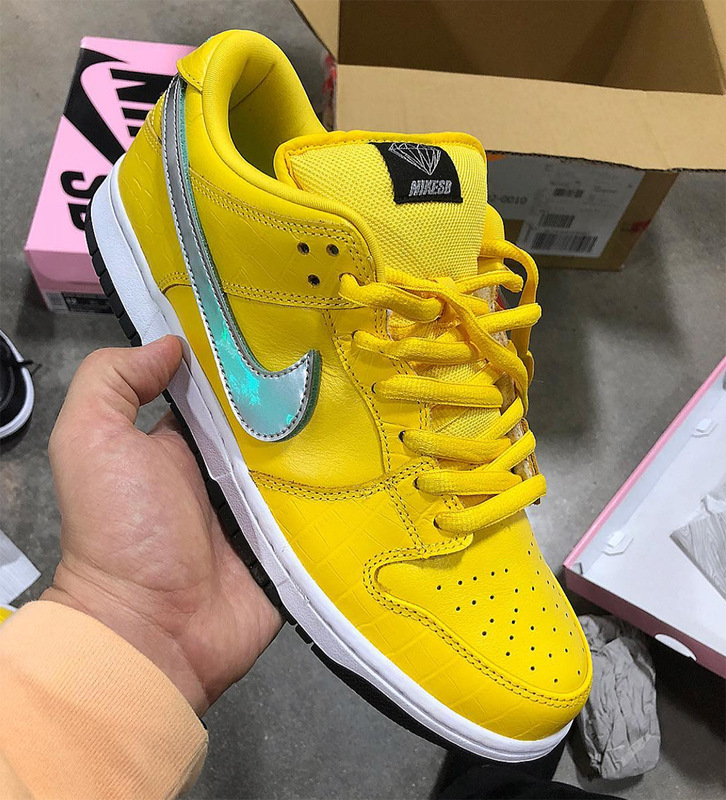 A release date has yet to be revealed, but grab a first look at the Canary Yellow Diamond Nike SBs below as well as a detailed look at the black pair, keep it locked for updates as we have them, and stay tuned for official drop dates for all three colors. 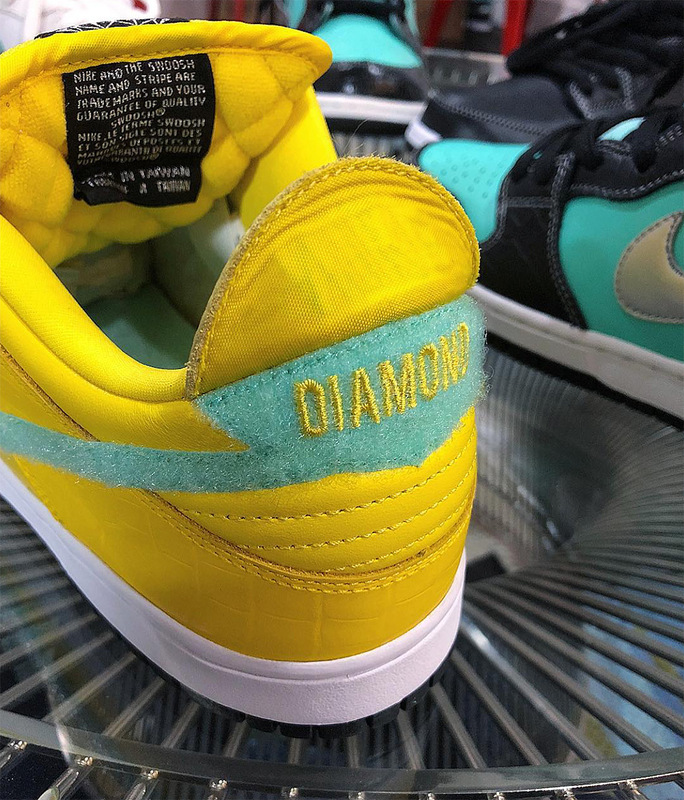 The post Diamond Supply Co. Is Releasing A Third “Yellow Diamond” Nike SB Dunk appeared first on Sneaker News. Next articleShould We Expect The Tom Sachs Nike Mars Yard Overshoe To Release Soon?